40th BCS circular 2018 (General BCS) will be published soon (in the July, 2018), confirmed by Bangladesh Public Service Commission (BPSC). 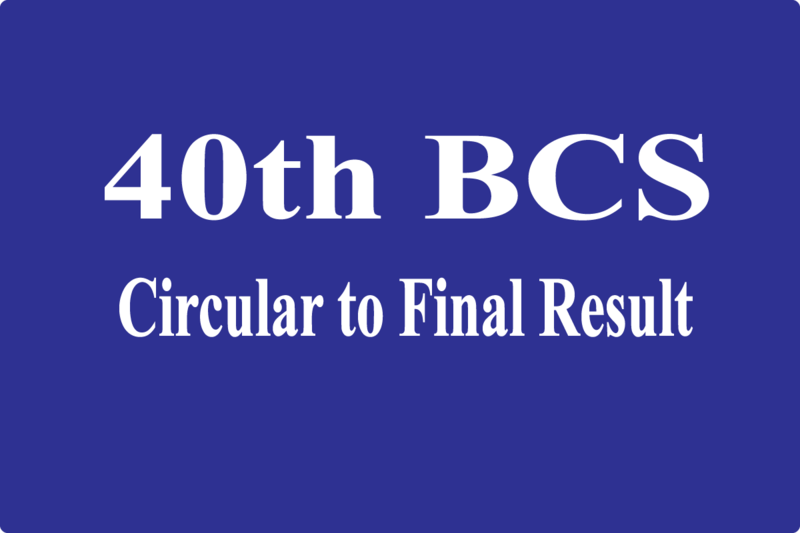 The 40th BCS circular is available on BPSC official website www.bpsc.gov.bd . Age: 21 years to 30 years(General), 21 to 32 (Health and Freedom fighters Quota). BCS<space>UserID to 16222. Example BCS SDFERTY to 16222. Example: BCS YES 12345678 to 16222. In Reply, you will get congratulation message. BCS<space>HELP<space>SSC Board<space>SSC Roll<space>SSC Year and send to 16222.